Iwatch Security has been a proud member of the Cary community since long before its rapid expansion over the last decade, and we have watched with sadness as some of our neighbors and community members have been given sub-standard treatment by large companies looking to exploit the boom market in Cary security systems. Since we are members of the community, seeing a neighbor’s house broken into is a local and personal issue, and we work every day to make such occurrences as rare as possible. 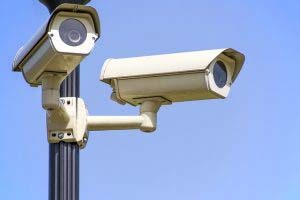 We do this by offering the best security systems in Cary, and customizing them for your unique needs after doing an in-person consultation at your house. We are happy to be esteemed members of the community and want to keep our community safe by offering the best security systems in Cary. Due to the rapid expansion of the town of Cary over the last few years, many security companies have joined the market and now offer simple, unremarkable security systems that leave our Cary community members woefully under-protected. While this is doubtlessly cheaper for them, it also means that you might be overpaying for services or not receiving the correct security solutions. With a central service office located in the Raleigh area, you can be guaranteed of fast service, but more importantly, our staff members are all locals, including many who live in Cary. This means that business conducted to maintain, repair, or install security systems in Cary is as much community service as it is business service. We also believe that this gives us an intangible benefit of being in the same community as our customers and potential clients. Since we are their friends and neighbors, we feel the same insecurities they do when break-ins or other crimes happen. To avoid this outcome, we will meet with our clients and explain the strengths and weaknesses of the system that is best-suited to meeting their security needs. Contact your Cary Security System Provider Today! Numerous security companies have moved into Cary since its population explosion over the last ten years. What this means is that it is a daunting decision for people to decide on the best security system for their Cary homes. This is where Iwatch Security comes in. We will meet with you, explain what options work with your budget, and create a unique security plan for your needs. We believe that there is a reason that 95% of the potential customers with whom we meet end up choosing Iwatch Security over the competition. If you are in the market for a new or upgraded security system, contact us today for a free quote, fill out the form below, or call us at 919-957-9818!